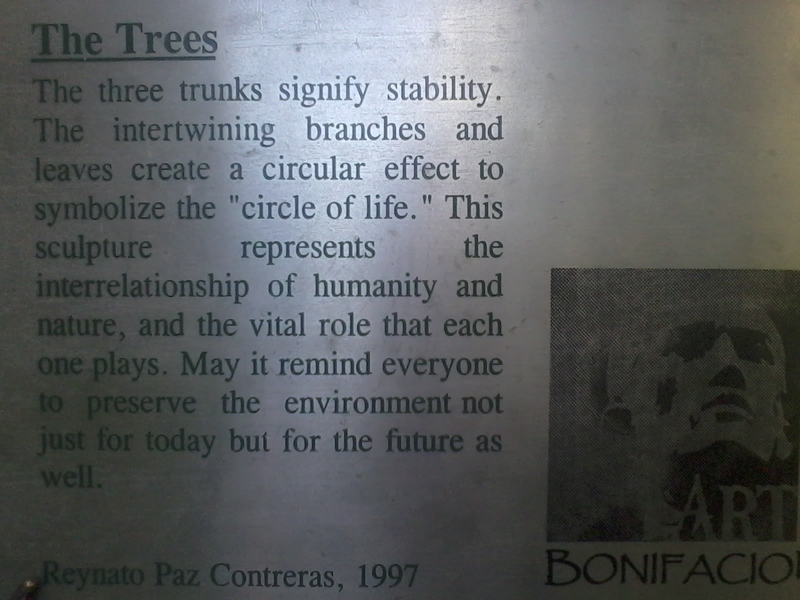 This little park in Burgos Circle is a nice getaway to the hustle and bustle of the city. 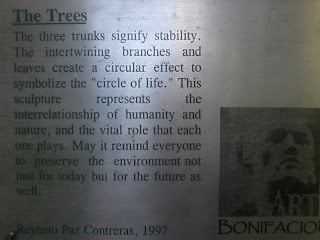 Those aren't exactly trees but a man-made symbol of how man and nature can co-exist. The park is not all that big but it was enough to wander around in or have some fun with family members. 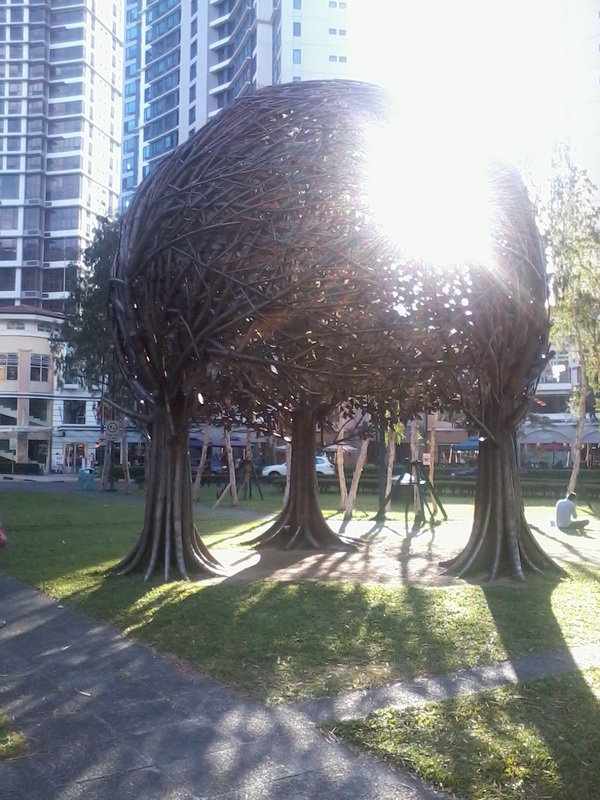 The funky globe thingy made of branches in the middle does capture your attention and imagination. 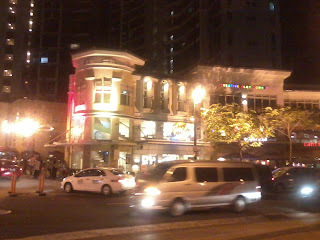 Aside from the park, Burgos Circle has rows of restaurants and shops near the high-rise office buildings and condos. Burgos Circle is different because you don't see a lot of places in Metro Manila that has a park like that and restaurants surrounding it combined with high-rise buildings. The place just feels different. You can just walk around the area and not feel caved-in by the traffic congested areas in Metro Manila. 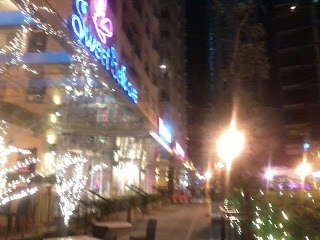 You can shop for clothes, shoes, grab coffee, get dessert, and eat at restaurants without entering a mall. 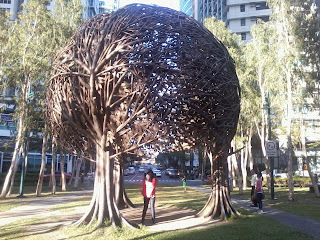 Burgos Circle is a good place to wander in.